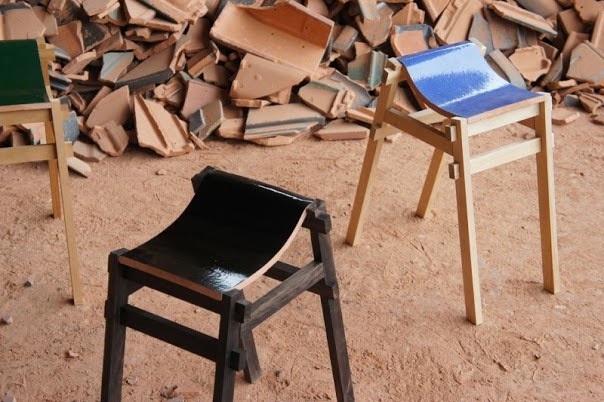 Designer Tsuyoshi Kawara has found the perfect way to reuse discarded roof tiles by mounting them on a wooden frame to create this simple but colourful stool called the Kawara Chair. Although the tiles are made from clay, they are fired at extremely high temperatures and so they can withstand quite a bit of weight - up to 250 pounds. Wood and metal combine beautifully in this desk lamp called the ed030 designed by Edizioni Design. Modelled after a book, is the Pages Chair by Noriko Hashida. 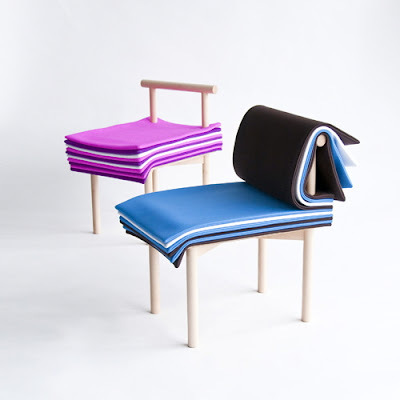 The wooden frame is covered with neoprene-like fabric layers which can be flipped or turned like the pages of a book to reveal the different colours of the seat and back upholstery. When you get tired of the palette, the back rest of the chair can be dismantled and new colour swatches inserted. This may be the most perfect alarm clock ever. In terms of ease of use and intuitive simplicity of design, the Lexon FLIP alarm clock, designed by Adrian and Jeremy Wright, has it all. The alarm function is triggered by turning the clock upside down so the 'ON' graphic is on top. When the alarm goes off, the feature is disabled by flipping the clock over so the 'OFF' graphic shows. When the alarm function is engaged, a light touch to the front of the clock turns on the snooze function. When the alarm function is off, a light touch to the front of the clock turns on the light. Users can The user can choose a 12 or a 24 hour display. 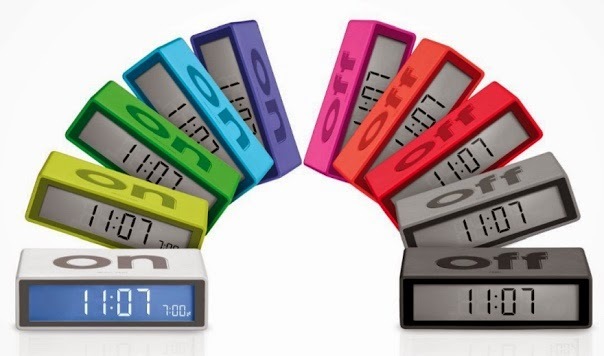 The alarm clock comes in all of the colours of the rainbow so you are guaranteed to find the one that perfectly matches your decor. 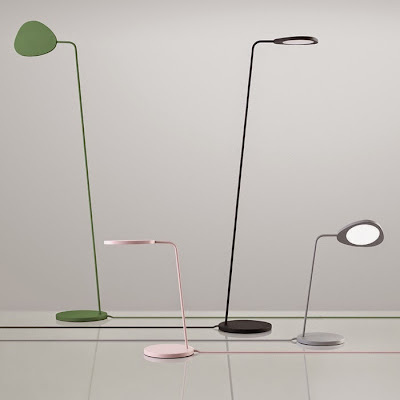 The Krusning lamp by Sigga Heimis is from IKEA's Spring collection. 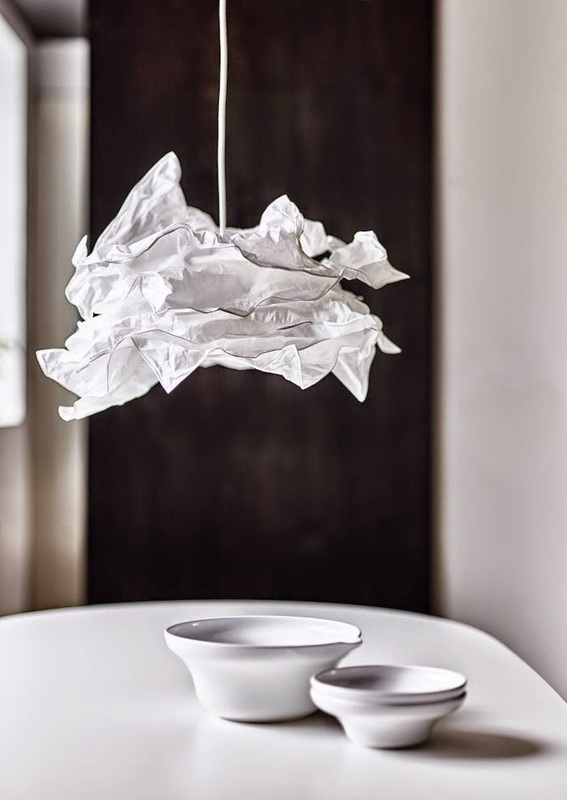 Made to resemble crumpled paper, the shade can be used with different cords to create a personalised effect. This visually-striking, two-tone lamp designed by Ben Wahrlich casts a pretty shadow or Moiré effect over any surface over which it is affixed. 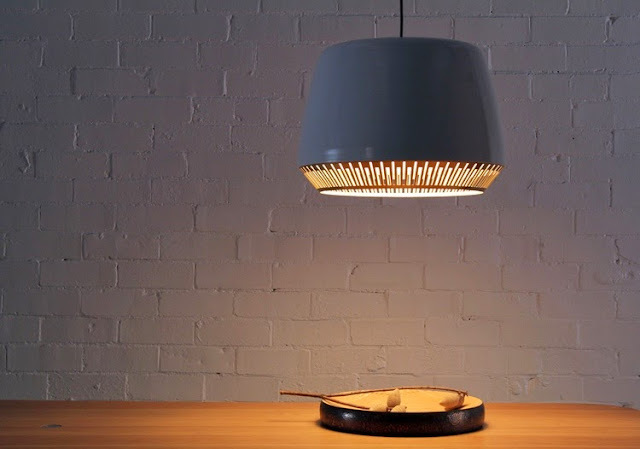 The top part of the lamp is made of spun aluminium and comes in black, navy or white powder coat finish. The metal base or bezel is cut in a piano key design. A solid option (not pictured) is also available. The Flow table by Funi Ding appears to be halted in mid-motion. 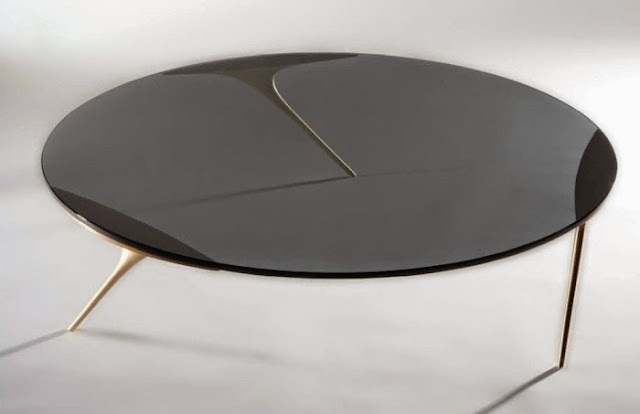 The table comes with either a black translucent or clear glass top mounted on top of three aluminium or brass legs. 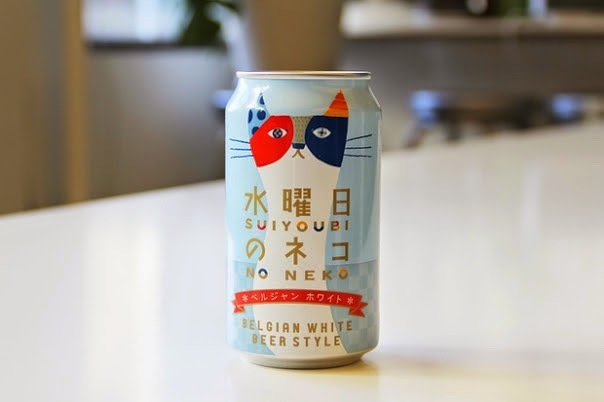 This sweet, patchwork cat adorns the packaging of a Japanese beer called Suiyoubi no Neko which translates as 'Wednesday Cat'. 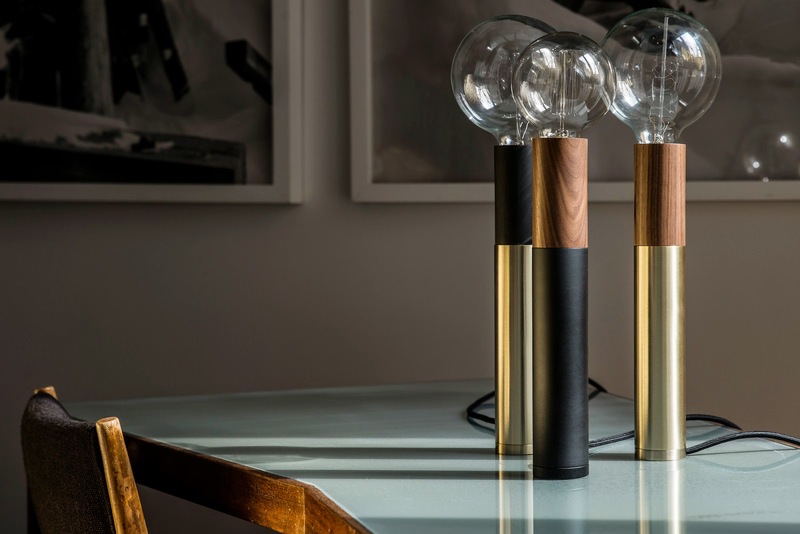 The O-table by Ola Giertz Design studio is a small table inspired by antique brass candlesticks. 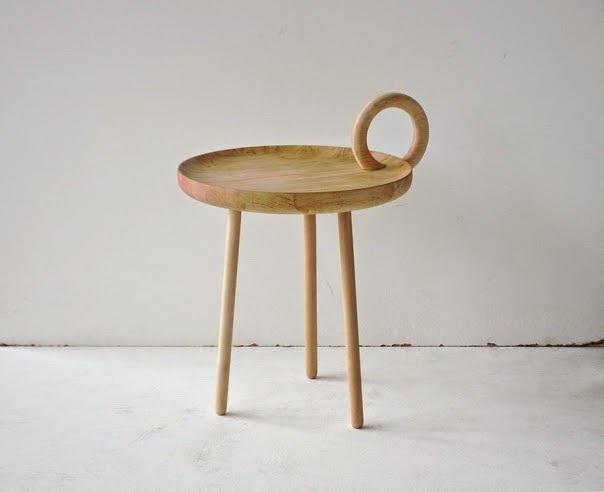 The table is designed to be easily carried by its handle by inserting a finger into the circular handle hence the name. Rounded surfaces are evident on almost every plane - from the tray top to its tripod legs. The curved table top also prevents items from spilling. The latest design from the prolific collaboration between designer Burkhard Dämmer and Spanish lighting manufacturer LZF is this compound pendant light called Dandelion. The original idea for the fixture came from drawings by the German zoologist and philologist Ernst Haeckel which featured symmetrical and geometric shapes of microscopic organisms which are found in the ocean. 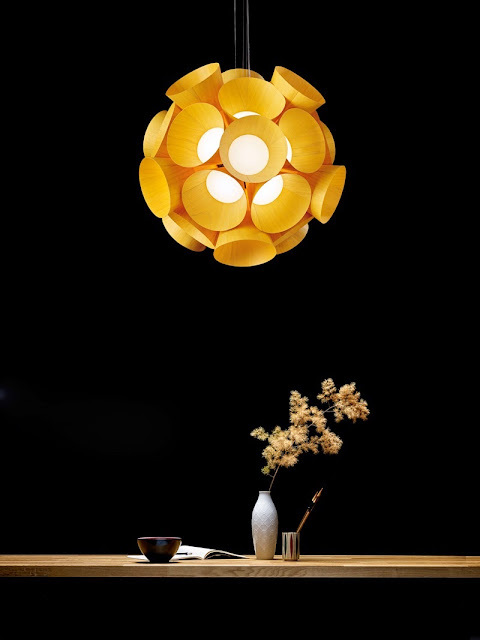 The spherical shape of the lamp is formed by an ordered combination of pentagons and hexagons made from wood veneer. 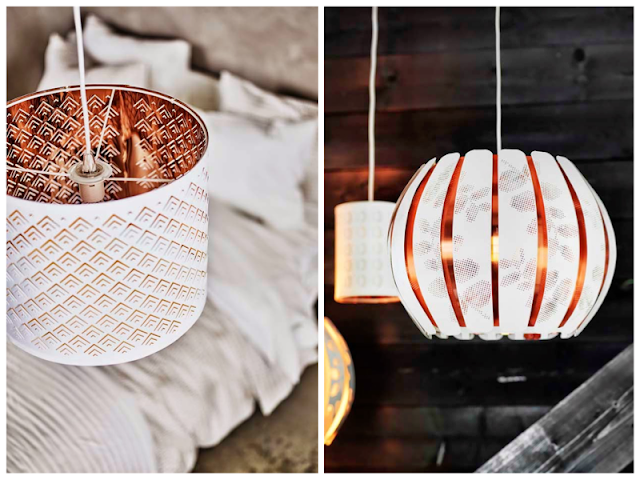 The lighting fixture can be considered one single lamp or combination of lamps working in unison. From the makers of this architectural beauty comes the cottage version consisting of four modular parts. The unpainted, certified plywood exterior is made up of a kitchen, a hallway, a living room and bedroom area which can be combined in various ways, as well as a staircase. The sides of the house are left open so it can be played with from all angles by several children while the interior is decorated with pastel colours. 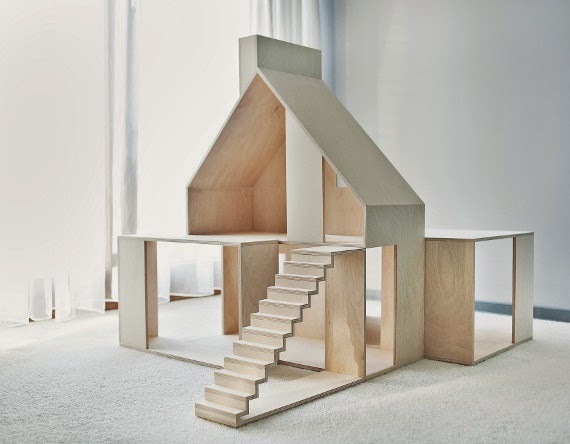 The house comes with its own adorable plywood furniture made to scale and painted with water-based paint. Upholstered pieces are covered in felt. The delicate leaf light from Muuto comes in a desktop or floor version. 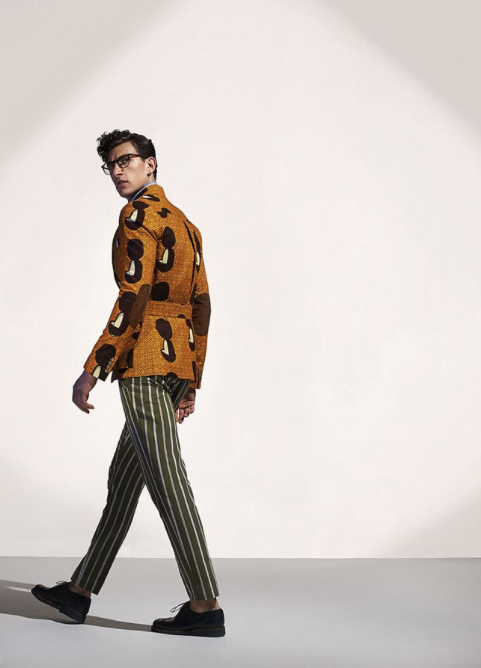 It has been a long time since we featured a collection in its entirety but we can't help the fact that every single look in Stella Jean's menswear collection for summer 2015 is worthy of attention. Just in time for summer and the warmer weather comes the clean, light lines of the Huron outdoor sofa from West Elm. 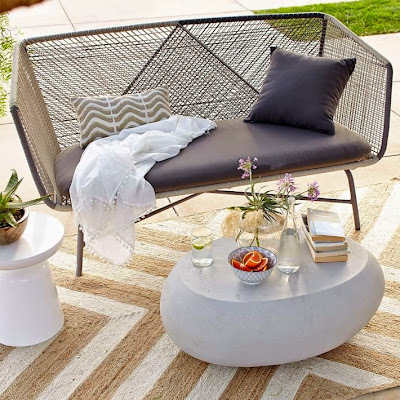 Made from all-weather cord which is been hand woven around a lightweight, rust-resistant aluminium frame. Bermuda is playing host to a number of high-profile personal style bloggers this week in an impressive demonstration of the power of social media and the Internet. The bloggers are being hosted by the Hamilton Princess & Beach Club (we initially wondered why so many photos were being taken on the grounds of the hotel!) and we had the pleasure of running into Danielle Bernstein of We Wore What yesterday afternoon while on the property to photograph Marcus' restaurant and cover a book signing as chef Marcus Samuelsson is also currently on the island (more on that later). Some of the other bloggers being hosted by hotel include Emily Gemma of The Sweetest Thing, Rachel Martino of Rach Martino, Jacey Duprie of Damsel in Dior and Luanna Perez-Garreaud of Le Happy. The pictures are gorgeous and you can follow their adventures on Instagram. All photos are tagged @princessbermuda and have the hashtag #paradiseawaits. 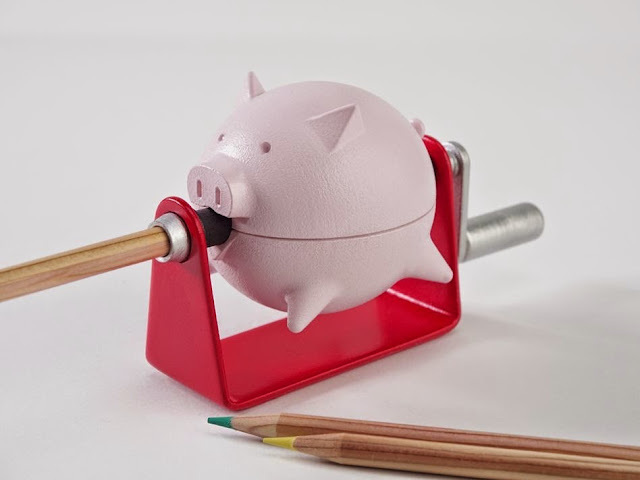 This whimsical but practical pencil sharpener from Robin Chen is designed to mimic a pig roasting on a spit. Pencil shavings are stored in the pig's belly for easy cleanup. A natural extension of the wetsuits and other swimwear that have been extremely popular, is this modern collection of fitness wear from Cynthia Rowley for Fall 2015. Called Rowley Fitness, the full collection includes everything you would need for the gym: leggings, tanks, sports bras, shorts, t-shirts and jackets. The clothing is fully functional with sweat-wicking fabrics and wider waistbands but the pieces have been reimagined in Rowley's colourful aesthetic and point of view. Pretty perforations will make pretty patterns. The Överud and Nymö light shades are made of powder coated steel and copper and form part of IKEA's spring 2015 collection. For someone who's constantly plugged in we are surprised by just how much we like this idea. There is something simple and uncomplicated about this credit card-sized phone which is designed to remove all the distractions now commonly found on smartphones in the form of apps and other "technological improvements". 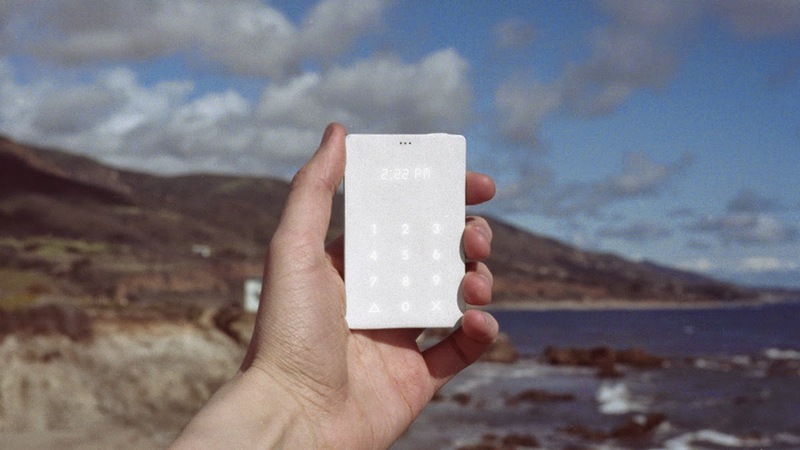 Artist and designer Joe Hollier has joined with mobile phone industry veteran Kaiwei Tang to create this prototype called the Light Phone. In a retrograde step, the phone can only make and receive calls and tell time. It is designed to be used in addition to your regular smart phone as a more streamlined, simple, timeless tool or used to supplement your regular cell phone in an emergency should, for example, the battery die on your phone . The Light Phone also makes an ideal first phone for a child. The Light Phone has a battery life of 20 days and comes preloaded with 500 minutes of talk time. We love the statement necklaces from South African-based Pichulik which take inspiration from such diverse elements such as the Islamic architecture of North Africa and the photography of Helmut Newton. The bespoke range of necklaces are handcrafted in Cape Town using locally manufactured materials such as PPM braid, cotton, waxed cord and brass. The Marcel is a smart-looking sideboard made of wood and tubular metal designed by Fabrizio Simonetti for Formabilio. Inspired Marcel Breuer, one of the leading proponents of the Modern Movement developed during the interwar period, the Marcel has simple, linear lines with no extraneous details. The doors on the piece are made by alternating slats of vertical and horizontal wood, recalling car grilles or antique radios from the early 1900s. We love this sleek, minimalist leather Half Moon clutch from Japanese designers Matter Matters, a luxury and lifestyle brand that was founded in London but is presently based in Hong Kong. 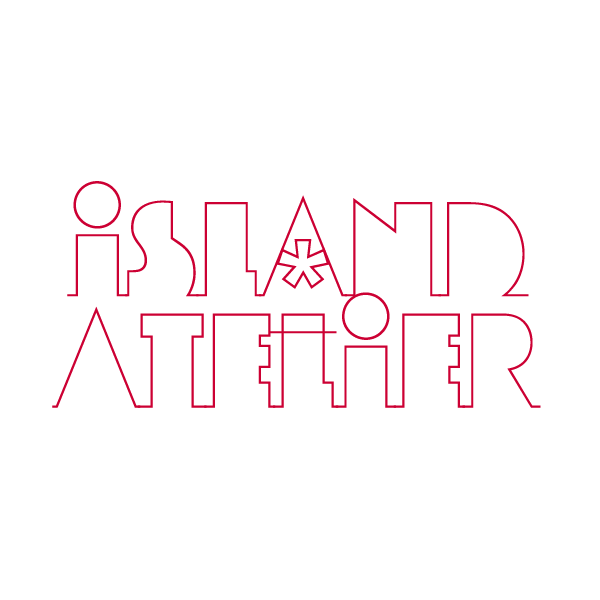 Their designs have a bold, graphic quality and are inspired by such varied influences as Postmodernism, the Art Deco movement, Memphis, mod couture and contemporary Bauhaus-inspired design, and artists such as David Hockney, Edward Hopper, Andy Warhol and Max Huber. The Half Moon clutch comes in primary colours with contrasting strap. It has resin hardware, a zip fastening and a canvas lining. 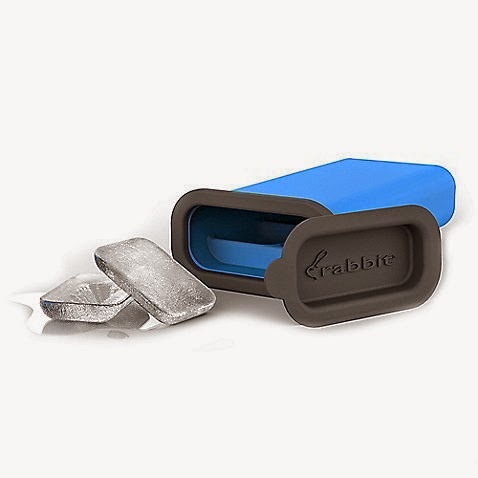 Most refrigerators come with built-in ice cube makers these days, but if you have a retro model or you just need extra ice for your drinks this summer, the Rabbit Flexible Ice Cube Tray should be at the top of your list. The Rabbit makes six oversized cubes which are designed to keep your drink colder for longer. The silicone tray is BPA free and the vertical fill makes ice making easier than ever. As the tray is sealed, there is no leakage and it can be stored horizontally (or vertically once the cubes have set) with other items in your freezer. The cubes also stay fresher longer and the sealed unit ensures that they will not absorb odours.